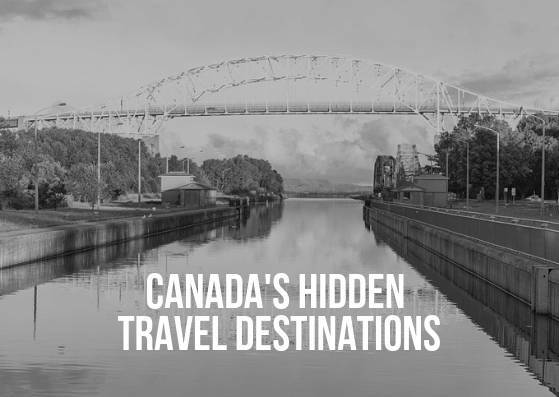 Throughout Canada, there are quite a few hidden travel destinations to enjoy. Despite the fact that they aren't as popular with travelers, they still have a lot to offer. While not blatantly on the radar, there are even opportunities to take tours of these Canadian destinations. These are some of Canada's hidden travel destinations that are worth checking out. This is one of Ontario's hidden gems. Although first impressions of Sault Ste Marie are of it being a sleepy little town, it does offer a lot for visitors who are keen to explore. The Canadian Bushplane Heritage Centre is a large display of a variety of different exhibits related to the history of forest protection and bush flying in Canada. There are numerous bush planes to see, a children's area and a flight simulator. The Agawa Canyon is nearby and definitely worth a visit. It can be accessed by a hiking trail as well as the Algoma Central Railway and is a good place to go take photos or go skiing in the winter. This is certainly a friendly little town that tends to be warm much of the year. It doesn't receive a lot of rainfall and despite it being very hot on most summer days, it does get cool at night. Osoyoos has a pretty good mix of landscapes: it is home to the Columbia and Cascade Mountains, large vineyards, beautiful beaches, and the only desert in all of Canada. Many travelers make it a point to visit Nk'Mip Cellars, home to some of Canada's finest red and white wines. Anarchist Mountain Lookout is a great place to go to get an amazing view of Osoyoos. From the top, you can actually see 7 mountain ranges. Located in Quebec, this town is known as the â? ?Cradle of French Canadaâ?. It's a popular region to fish and visitors are often amazed to see fish jumping near the beaches. The Gaspe Peninsula is filled with numerous outdoor activities. Forillon National Park is known for its hiking opportunities along the cliffs or the salt marshes that can be explored. Other options include seeing the windmill factory or visiting a WWII memorial. Long past the days when this city was part of the Klondike Gold Rush, Dawson City is still full of a lot of intriguing activities for visitors. At Bonanza Creek, visitors can dredge for gold or see the numerous informational boards dealing with the gold strike of 1896. The Tombstone Territorial Park is truly magnificent. The park rangers are extremely helpful and can provide visitors with a wealth of information about what they should see during their time at the park. The Dawson City Museum gives visitors a glimpse into the history of Dawson. There are many artifacts located here, with most of them being from the Gold Rush.